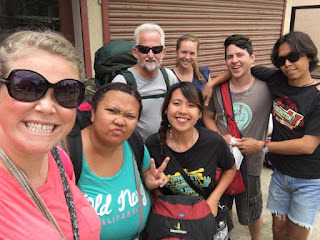 This blog is the third and final part of DTS outreach blog series. 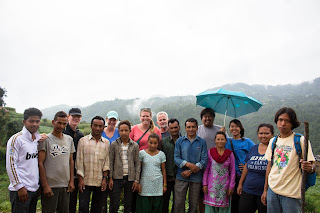 We spent 1 month in the country of Nepal at the end of our outreach. Nepal is a primarily Hindu country. I don’t really know much about the Hindu religion but after my time in Nepal I want to do more research. Some of the things I experienced were a little overwhelming at times for me and I’ve experienced a lot in this world. Christians in Nepal are currently facing persecution because the Hindu monks want to make Hindu the national religion of Nepal. They blame the Christians for the earthquakes that took place there in 2015. Shortly after a law was passed preventing Christians from witnessing outside of the church. Regardless of the laws, the Christians there are strong in their faith and Christianity is growing in Nepal. But persecution can't stop people from knowing God, and neither can ridiculous laws. 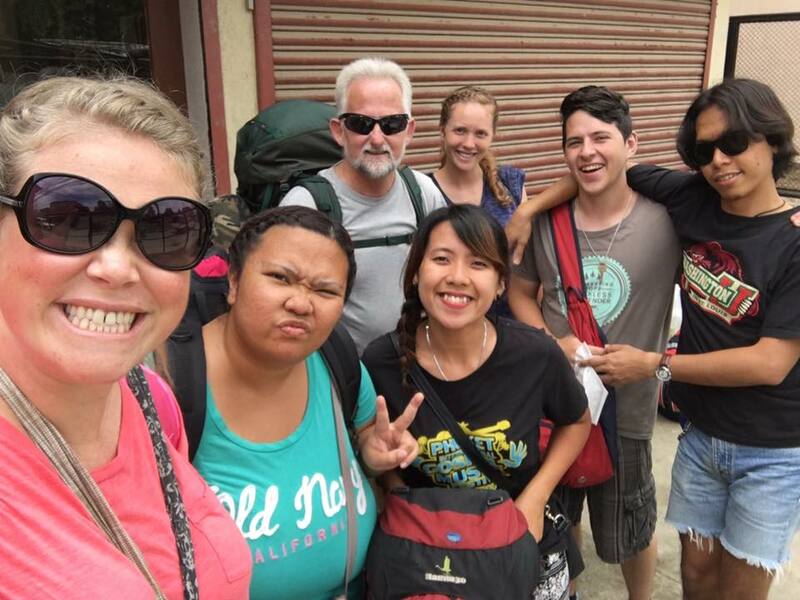 God is moving and doing great things in Nepal right now. Since the earthquakes last year Christianity has doubled from 1% to 2%. Another example of this is with physical and mental healing. Many Nepalese people come to know the Lord because He is their Healer. A large percent of testimonies we heard were of someone who had a sickness that couldn't be healed with medicine or a visit to the witch doctor. These sick people heard about a Christian God that can heal people and so they went to church hoping He would help them too. Since they came to the church it gave pastors and elders at the church the opportunity to share the gospel with them. Upon hearing this message they would accept the gift of eternal life and be healed almost immediately. These testimonies and eyewitness accounts of healing have also influenced others in the family or village to be saved! No one is doing Evangelism 101, handing out tracts, screaming in the streets "repent for the kingdom of heaven is near," or any of those other fancy evangelism strategies people teach at church. People are just living their lives and sharing their story. As they share people are coming to know the Lord!! All of our work in Nepal consisted of visiting Christians and encouraging them to continue in their faith, even in the midst of persecution. Because of all the persecution going on right now, any Christians who are caught witnessing to people outside of the church can be arrested for “breaking the law.” Since we are a team from another land however, many people in the villages found out we were there and wanted to see us. This opened up the door for nonbelievers to come to church and hear the gospel. The church in Nepal meets on Saturdays. Some of the churches have multiple services because there is not enough room to hold everyone. Many Christians in Nepal walk to church. The journey can take anywhere from 5 minutes to 2 hours. Sometimes they will come several times during the week for morning prayer as well as Saturday church service. 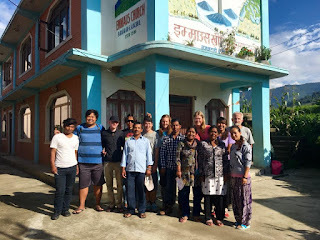 We visited many believers’ houses, different churches throughout Nepal, and even participated in weekly house church meetings, sharing our testimonies and the message. Every visit was very unique and a special time of encouraging our brothers and sisters. There were so many wonderful testimonies we heard I honestly don’t know which ones I can pick to share! Each testimony was so moving and so powerful. Each testimony has touched the lives of many, leading those who hear it to the Lord. Below I will share about the day in Nepal I will never forget. If you want to know more stories let’s find sometime to meet or skype. Fathers play such an important role in the life of a family. It is usually easier for an entire family to become Christian when the father is a Christian. Sometimes that salvation comes immediately and sometimes it can take years. We met one father who used to be a heavy drinker and very angry man. One day his family needed money so they went to church to ask for help. The pastor gave him a bible and some money. He told the man to read the bible and that he wouldn’t help him anymore unless he read it. The many agreed, went home, and read the bible. After reading for several hours from the book of John he became a Christian and told his family they all needed to believe as well, so they did. God changed His life. This mans testimony has caused 18 other families in the village to become Christian in the 14 years since He has become a Christian. One of the most memorable days I have of Nepal is the day we got to meet with and encourage 4 fathers one morning before their 1½ hour walk to work. They are the only Christians in their family and they feel very discouraged at times. It was a pleasure meeting them because they are fathers who God has brought salvation to and they are faithful! After hearing their testimonies and pleas for God to help them, I believe God will also bring salvation to their families. On the way to visit these fathers however, we passed a funeral of another father who didn’t know Jesus. The men were carrying the covered body down the road to be burned at the Hindu sacrifice site while the women were up on the hill watching. I saw the son being comforted as he mourned walking behind the body. You could hear the women wailing from the top of the hill several hundred meters away. The sound of their wailing was pretty disturbing and my heart broke as I though about the hopelessness of this death and how, it is literally the end for this man. The difference in encounters that day was not ironic. There are many who have never heard, many who have heard yet rejected, and many who have heard and received. Every life matters to God and it was not His plan for us to be separated from Him nor the ones we love so dearly. Those who die without a personal relationship with Jesus have a hopeless ending to their life. The agony of this family that lost their father was so excruciating I could barely continue what I was doing. The darkness I felt us walking through as we passed the funeral procession was extremely uncomfortable and sad. I imagined God was looking down feeling the agony of that family who lost their father and hoping that their lives would have a different outcome. Reflecting on that day I am so thankful for the hope that my family and I have received knowing that when we die it isn’t the end for us. Knowing that when I loose a family member I will see them again in a place where there is no crying and no death. Unlike the father who died, leaving his family in agony, those 4 fathers we met that day have hope they can offer to their families. Who knows the impact they will have on Nepal by being faithful to God even though their families reject God and His love for them. Even though their families criticize them for their faith in God. By continuing to love and provide for their families regardless of how the families treat them, they are showing how much God cares.